We believe that together, we can unify a collective voice that has the power to change the narrative and disrupt injustice to solve seemingly intractable problems. 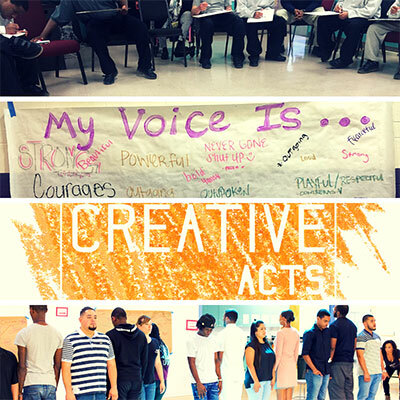 Your donation will support the continuation and expansion of Creative Act's innovative work, bringing the power of the Arts to ignite change to our most marginalized communities and pressing social issues. Stand with us in this growing collaborative movement for social reform and system-wide transformation! The Creative Acts Fund is a sponsored program of the Social Impact Fund, a 501(c)(3) organization. Donations are tax-deductible to the furthest extent of the law. Your donation will reflect "Social Impact Fund."